Located in the heart of North Iowa, our rich musical heritage and unique collection of historic architecture provide a variety of activities and experiences guaranteed to satisfy any group traveler. Discover an array of award-winning attractions, shopping and dining venues, events and festivals bursting with distinct, local flavor. Easily accessible and affordable – we have plenty to see and do here for every group, no matter the size or time of year. To help get you started, we’ve prepared a variety of resources, such as sample itineraries and tour enhancements, that are available below. We’re excited that you are considering Mason City for your next tour. 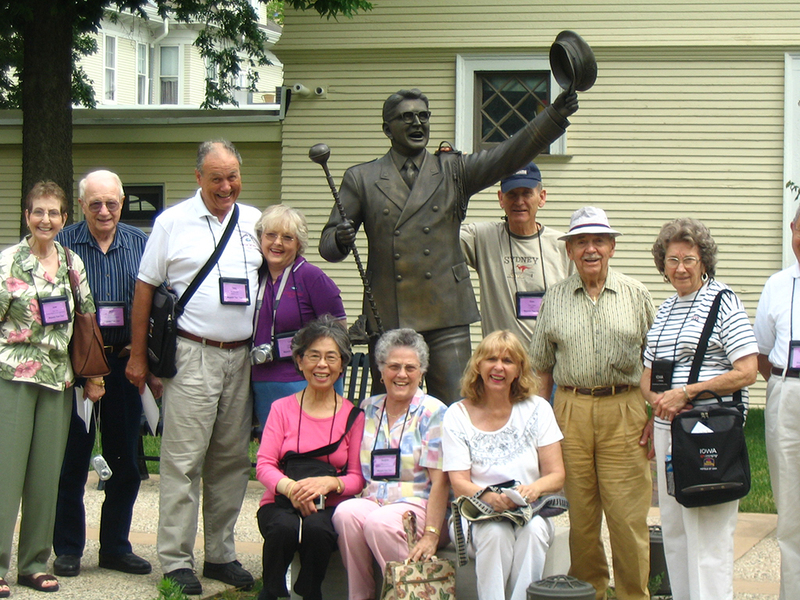 Visit Mason City’s Group Tour Specialists are ready to assist you in customizing a one-of-a-kind tour to fit your group’s needs. CLICK HERE to request assistance in planning your custom tour to Mason City. Visit Mason City is a full-service bureau, with a professional group tour staff dedicated to providing free personal assistance with the many planning details, accommodation reservations, as well as coordinating the several free services and materials available to you and your group. Receive your FREE Destination Planner by completing the web form or contact Visit Mason City Group Tour Services Visit Mason City toll free at 800-423-5724. We look forward to the opportunity of welcoming your group to our community. Contact information for hotels, attractions, restaurants, etc. City, hotel and attraction options. 2-DAY: Cars, Boats, Trains, and RV’s…Oh My! The following group tour enhancements are available to further enrich your group’s experience while in Mason City, Iowa. These enhancements have been selected since they “tie in” nicely with a local theme and are designed to be used in conjunction with a local attraction. Contact Visit Mason City if you are interested in scheduling any of these group tour enhancement options or call us toll free at 800-423-5724.